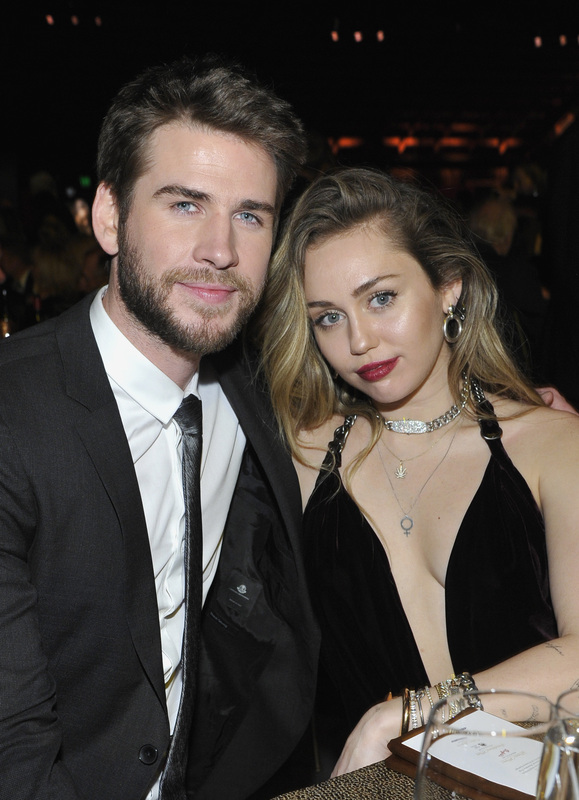 Liam Hemsworth did not attend the 2019 Grammys Awards and also missed his wife Miley Cyrus' performance as the actor was hospitalized after waking up feeling unwell on Sunday. Liam's upcoming film 'Isn’t It Romantic' releases on February 13 and his costar Rebel Wilson spoke to Extra on Sunday and shared, "[Liam] was in hospital overnight, so hopefully he will be fine. He texted us this morning." Liam had woken up feeling unwell and, as a result, had to miss publicity events for the film on Sunday, a Warner Brothers representative told PEOPLE. Miley attended the 61st Annual Grammy Awards ceremony with her parents. The 'Wrecking Ball' singer was seen sporting an oversized tuxedo as well as a pair of flared pants and performed a surprise duet with singer Shawn Mendes to his song 'In My Blood' before going on to join Dolly Parton on stage to sing 'Jolene'. Liam and Miley tied the knot in a very intimate and private ceremony which took place at Miley's home in Franklin, Tennessee on December 23, 2018. For her special day, Miley sported an off-the-shoulder gown designed by Vivienne Westwood while Liam wore a traditional black tuxedo. The couple will be attending the premiere of 'Isn’t It Romantic' on Monday in Los Angeles. The film which will be out in theaters on February 13 also stars Adam DeVine and Nick Jonas' newlywed bride Priyanka Chopra. Liam recently took to Instagram to compliment his wife after she posted a stunning picture which showed her flipping her hair and striking a pose in a black mini dress. Liam left a flirty comment on the pic which read, "Good God," along with a hands raised emoji. He was not the only one who appreciated Miley's snap as singer/model Rita Ora also commented saying, "Your [sic] a bad assssss" along with three fire emojis. Liam appeared on Live With Kelly and Ryan last week and revealed that Miley had taken on his last name. "Miley Ray Hemsworth now, actually. She will still be obviously known as Miley Cyrus, but she took my name, which is great. That was honestly one of the best things about it. I didn't ask her to take my name, but she was like, 'No, of course, I'm taking your name," he shared.